How could Marat have been instrumental in Lavoisier's arrest and execution in May 1794, given that he had been murdered in July 1793? If you're going to write about history at least get a basic grasp of the facts before you do so. Just imagine how scientists, such as yourself, would react to historians pontificating about science having barely skimmed the relevant Wikipedia pages…? As the fellow above remarked, Marat was dead long before Lavoisier's arrest, nor did he ever apply for membership of the Academie. He sought its "approbation" (approval) instead – not given although they did commend his ingenious method of experimentation – for his discoveries on fire and light. He also came out against Mesmer as you would have noticed if you'd bothered to read any of his thoughts on the subject – eg his Mémoire on Medical Electricity or Les Charlatans Modernes. 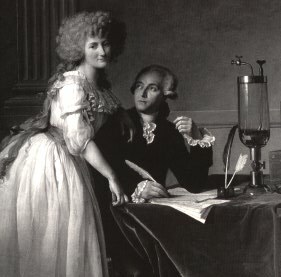 Lavoisier was arrested for being a member of the Fermier-General, a hated institution that subcontracted the onerous task of taxation and made a fortune from doing so. The best account of the rivalry between the two men can be found in Jean-Pierre Poirier's biography of Lavoisier or his contribution to 'Marat, homme de science? ', eds. Bertrand and Lemaire.